The car that was awarded the title of Australia’s Best Drivers’ Car was the BMW M2, so it’s fantastic to know that this award-winning favourite comes in a coupé version. If you’re going to take out a title like “Best Drivers’ Car”, you’ve got to be very, very good. We love our cars here in Australia and we can be a bit fussy. Well, rest assured that the BMW M2 Coupé has everything that it takes to please even the pickiest driver. OK, if your idea of a perfect car is a bush-basher, you might not find what you want in the BMW M2 Coupé – but you’ll find quite a lot! Some Beemers are refined and minimalistic. The BMW M2 Coupé, however, is on the edgy side that is bound to please your inner rebel (no wonder it appeals to the larrikin hidden in just about every red-blooded Aussie!). It might be a sophisticated coupé but the styling hints at aggression and sheer power. There’s something about those crisp lines tailoring the sides and the bonnet that suggest that air will simply slip along them; they’re not just there to look good (which they do). The large air intakes and the 19-inch wheels also promise that driving the BMW M2 Coupé will be the ride of your life. 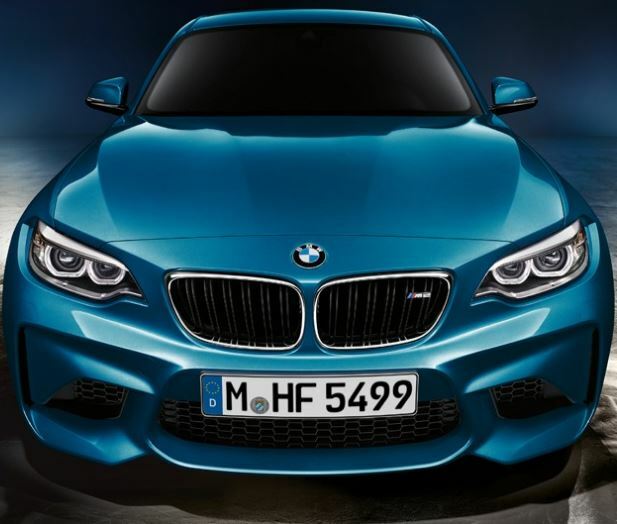 What’s more, the BMW M2 Coupé delivers on this promise and it’s not just a handsome face. You have two variants in the M2 Coupe line-up: the M2 Pure, which is a 6-speed manual, and the M2, which is a 7-speed dual clutch with DriveLogic. If you want a translation of “DriveLogic”, this means that it’s got launch control, stability clutch control, creep on demand and Smokey Burnout function. Yes, you read that right: Smokey Burnout function. I told you that the BMW M2 Coupé was just a bit edgy and rebellious. Mind you, one of the features that BMW seems to be really proud of is the high level of torque (465 Nm) that’s possible with this 6-cylinder 3-litre petrol engine. Normally, you only get this sort of torque with diesel engines but BMW has managed to wring this out of a petrol unit, along with a peak power of 272 kW. BMW describes this engine as an “M TwinPower Turbo 6-cylinder in-line petrol engine with a technology package comprising one TwinScroll turbocharger, High Precision Injection, Valvetronic variable valve control and Double-VANOS variable camshaft control”. I just call it exhilarating. If you love acceleration like I do, then the 0–100 km time of 4.3 seconds (4.5 for the M2 Pure) will set your pulse pounding. Other things that add to the pure fun of driving the BMW M2 Coupé are all the driver aids and active safety features. After all, you might be a rebel enough to put a good car through its paces but it’s no fun breaking your neck or writing off such a nice car, so it’s common sense to have these features. Some of these features – and there are a lot of them – are the driving experience control (which handles the dynamic stability control and the power steering assistance), the cruise control and the Driving Assistant package (which comes as standard on both types of BMW M2 Coupé). This Driver Assistant package has heaps of handy sensors and gadgets, almost enough to make James Bond jealous, which include approach control warning, lane departure warning, pedestrian warning and BMW’s Attentiveness Assistant. The Attentiveness Assistant is able to detect whether you’re getting on the fatigued side and will flash up an alert on the display panel suggesting that you really ought to take a break and displays a picture of a cup of coffee just to give you a hint. While you’re not likely to be sleepy when driving the BMW M2 Coupé to its full capacity – the adrenaline surging through your bloodstream will take care of that – but there will be times that you will drive this car more sedately. Thanks to BMW’s Connected Drive system, the BMW M2 Coupé can give you more than just a hint that you ought to stop for coffee; it can even tell you where the nearest café is. The Connected Drive system practically turns your car into a computer or smartphone on wheels (about the only thing it can’t do is take photos and share them instantly on social media – although we may see this function one day!). However, it can access the internet independently (when the car is stationary – you can’t Facebook at 100 km/h! ), send emergency calls in the case of an accident, send calls to the breakdown centre if needed, send service-related data (e.g. mileage) to the service centre and get real-time traffic information with the navigation system. In a nutshell or, more aptly, a safety body shell with side protection beams, the BMW M2 Coupé is certainly a member of the Internet Of Things. Even if you don’t keep up your Connected Drive subscription (you do have to renew this), you still get hard-drive navigation and Bluetooth smartphone connectivity – and voice control. Needless to say, given the way that we love to surround ourselves with music wherever we go, the audio system inside the BMW M2 Coupé is superb. You don’t just get something that’s compatible with your USB input device – everything from iPhones to USB sticks – you also get the very best in speakers. In the M2 Pure, you get a seven-speaker 205-W system; in the M2, you get 12 speakers, 3060 watts and surround sound mode. The interior of the BMW M2 Coupé is more than just speakers and electronic gadgetry. It’s tastefully upholstered in Dakota leather the way a luxury car should be, with carbon fibre trim. The driver and front passenger get lumbar support and heated seats, and all four seats benefit from the automatic air conditioning. Keyless entry, stop/start function and mood lighting complete the package out. For any more information on the BMW M2 Coupé, or for that matter any other new car, contact one of our friendly consultants on 1300 303 181. If you’d like some fleet discount pricing (yes even for private buyers! ), we can submit vehicle quotes requests out to our national network of BMW dealers and come back with pricing within 24 hours. Private Fleet – car buying made easy!